MIAMI—Heading into the team’s first-round matchup against the Milwaukee Bucks, sources confirmed Friday that Miami Heat point guard Mario Chalmers has somehow fallen under the impression that his teammates really need him to step it up during the playoffs. “They can’t do it without me, so I definitely have to bring my A-game,” said Chalmers, adding that head coach Erik Spoelstra is counting on him to be at his absolute best on defense and maintain flawless perimeter shooting amid the team’s bid for a second consecutive NBA title. “This is the playoffs, so I can’t afford to have an off game. 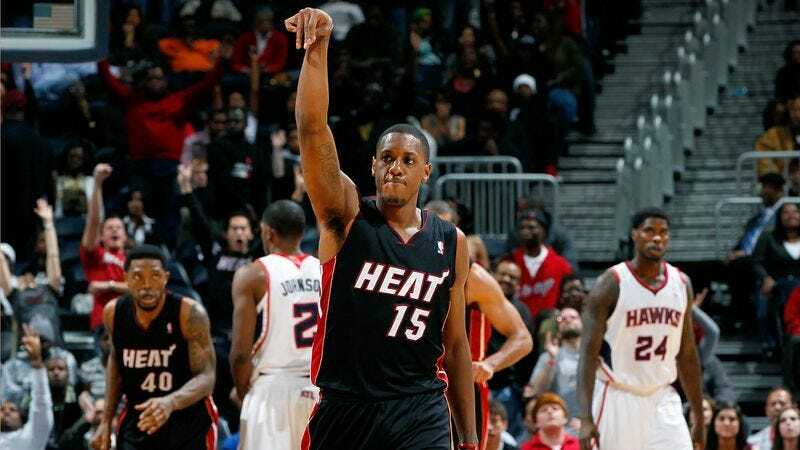 Everyone’s depending on me out there, and if I don’t make my presence felt, we could be headed home early.” Chalmers also confirmed that he will need to be a vocal leader on the floor in order to set an example for Dwyane Wade, Ray Allen, and LeBron James.